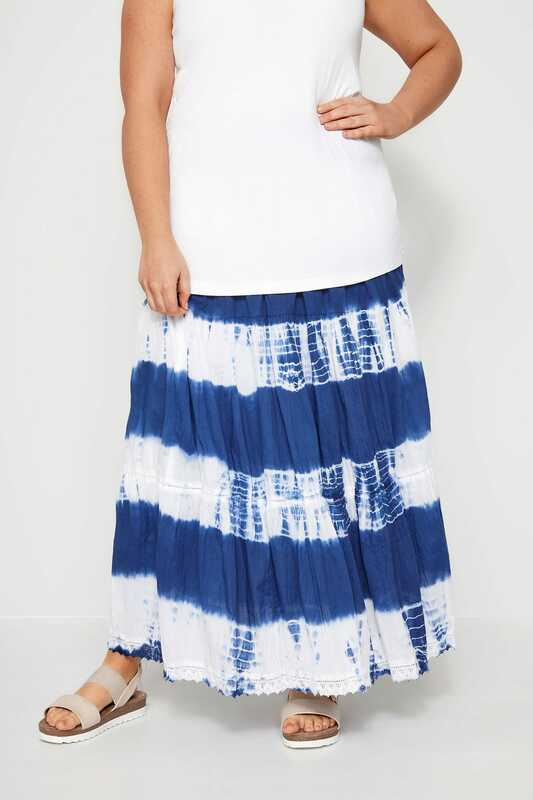 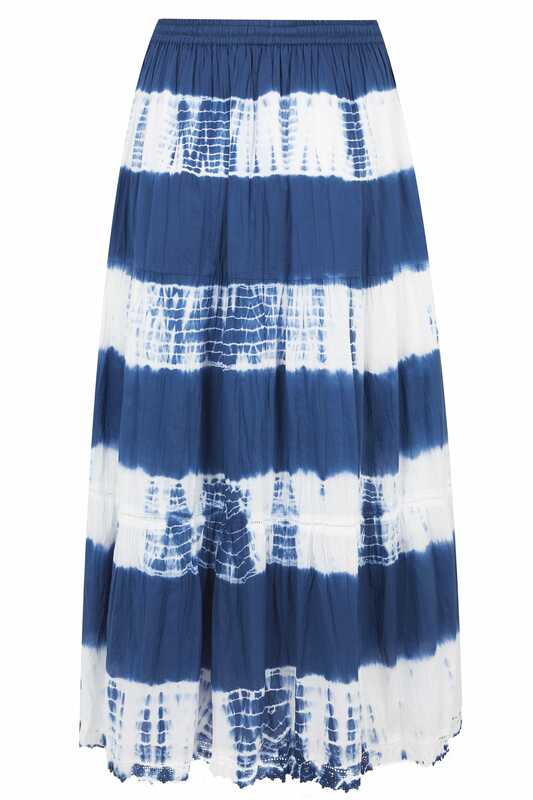 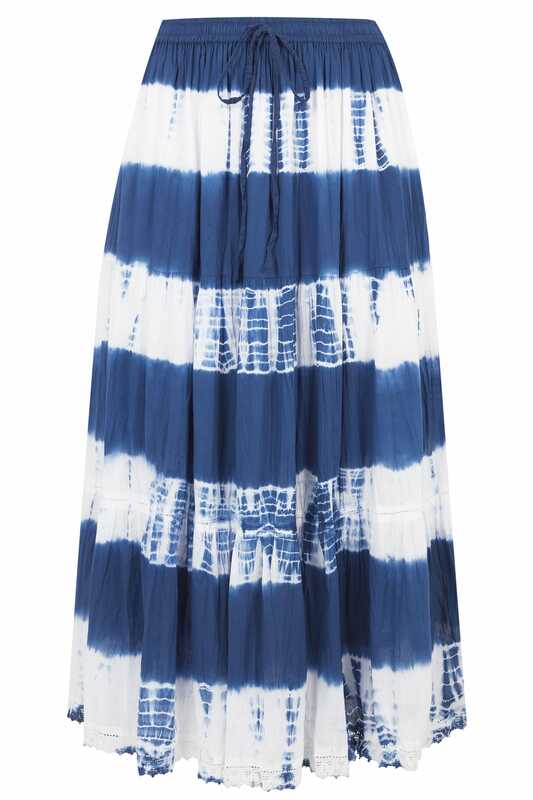 Perfect for the coming season, this flattering floor-skimming maxi skirt will update your off-duty line-up. 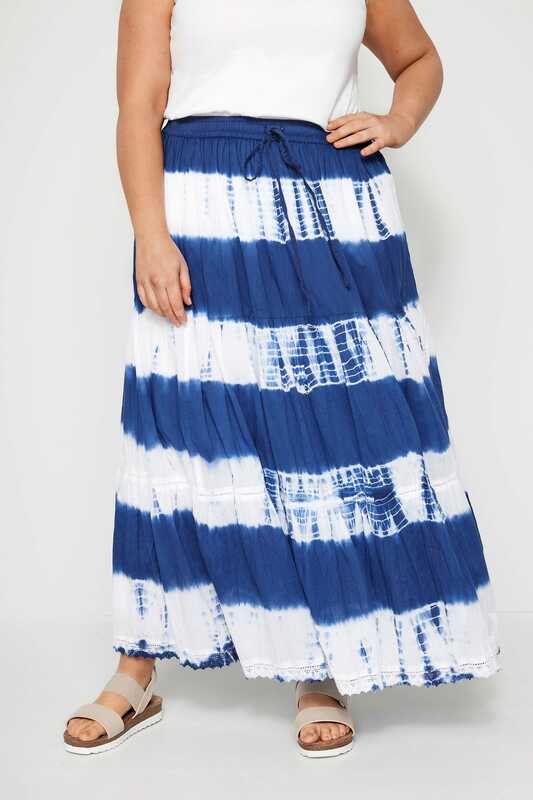 In a tiered design, it offers a comfortable elasticated waistband finished with an adjustable drawstring pull for the ultimate fit. 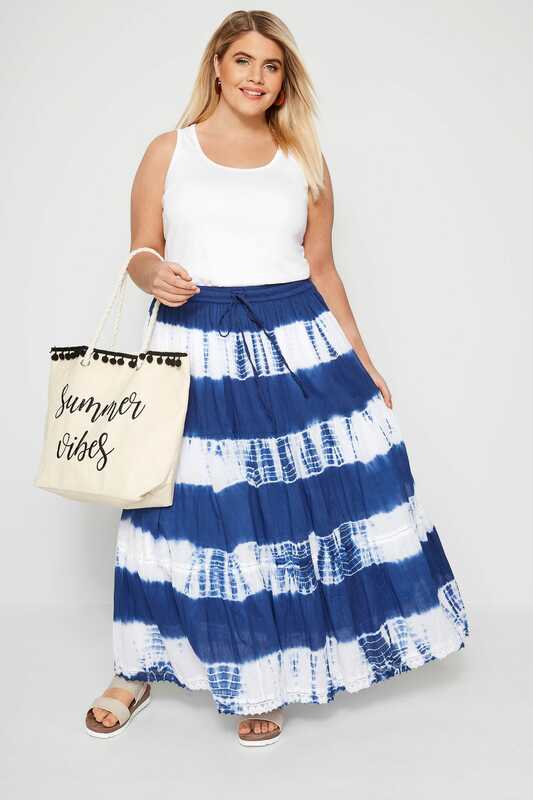 Style with a tucked in cami top and sandals for easy everyday appeal. 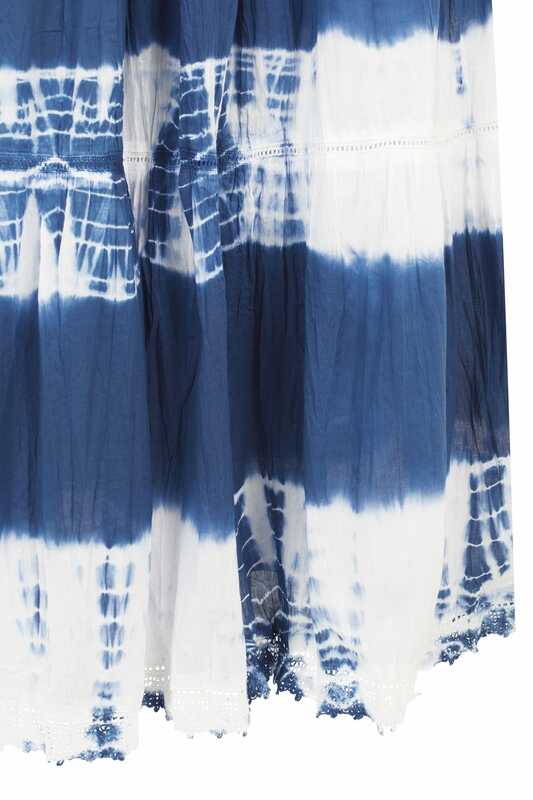 Tie dye prints will bring colour to your wardrobe.